We can all agree that super automatics are God’s special way of showing humanity just how much he loves us; they’re up there with rainbows. The convenience of simply loading beans, pressing a couple of buttons, and ending up with divine crema a couple of minutes later, lies on the verge of miraculous. But these machines can break the bank! And unfortunately, we live in a society that values a child’s education more than a sensational shot of espresso. But DeLonghi is shining a beacon of hope. 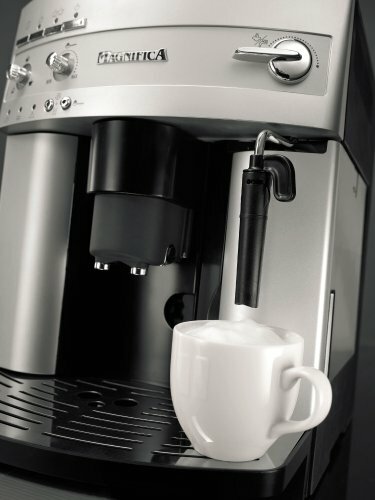 The DeLonghi ﻿﻿﻿ESAM3300 Magnifica Super-Automatic Espresso/Coffee Machine is one of the most affordable super-automatics to ever hit the market; affordable, not cheap. This baby will set you back a little over $500. But considering just how many people your expensive espresso habit employs at Starbucks, you’ll quickly recover that change. And this Italian-forged machine comes packed with amazing features that give new meaning to 'bang for your buck’! Considering just what this bad boy can do, its size is insanely impressive! At 15 x 11 x 14 inches, the Magnifica is a fraction of the footprint of other coffee makers in its class. It’s not what you’d call small, but you also won’t have to renovate your entire kitchen just to accommodate it. The stainless steel casing exudes that classic elegance you’d expect of an Italian-made machine. It’s simple, beautiful, and will give you steamy dreams the first couple of nights. DeLonghi have done a brilliant job at integrating a ton of kit inside a relatively small space. It would surprise many to learn that there is a conical burr grinder, 7oz bean hopper and 60oz water tank hiding somewhere in there. But arguably the stand-out design feature of this Super Automatic is the remarkably compact brew group and stainless steel dual boilers. Not only does this make for pretty impressive heat distribution, it also means cleaning and maintenance won’t have you pulling your hair out in frustration. Mind-bogglingly effortlessly, that’s how! Being a true bean-to-cup machine, you won’t have to fiddle with tons of controls to get that heavenly cuppa joe- leave that to the hipster coffee aficionados. 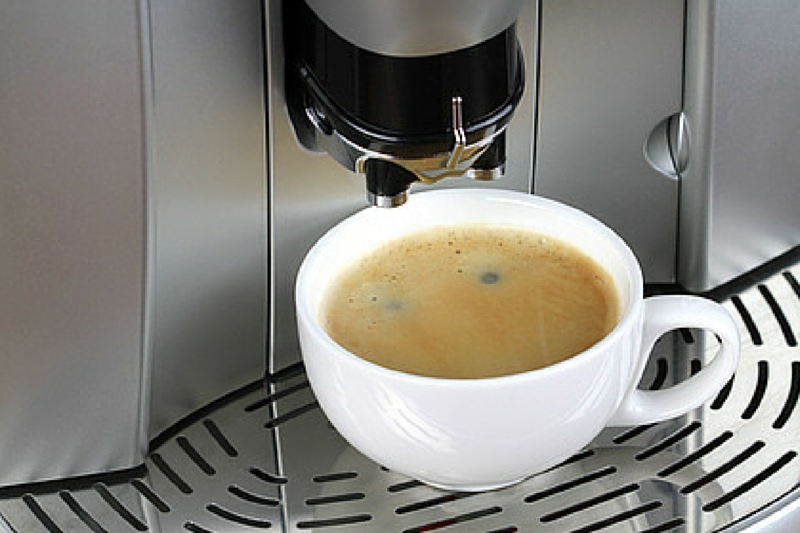 The Magnifica allows even a newbie to enjoy delectable java at the touch of a button. And all this is made possible courtesy of a couple of neat features. Intuitive Control Panel: You won’t find any fancy LED screens here. Everything is controlled by rotary dials and a couple of buttons, which might be a bit of an adjustment if you’re coming from a tech-centric machine. But this is actually a positive thing. These seemingly old school controls are way more reliable than their techy counterparts, and a lot faster to master. The only downside is that you can’t save individual flavor profiles into the machine, so you’ll have to go through the whole process of adjusting the controls if at all the guys at home have different tastes. Bypass Doser: The ESAM3300 is one of the very few machines at this price point that has a bypass doser. A what?! Well, this is just fancy speak for using pre-ground coffee instead of actually having to grind some beans. So you can enjoy a different blend than what is in the bean hopper; neat! Instant Reheat Function: Crucial to this bad boy’s operation, is its instant reheat function that keeps the core at the ideal temperature to reliably churn out those shots. This means that no matter the interval between cups, you’ll still be able to enjoy java that is perfectly hot and deliciously tasty. DeLonghi have designed this baby to do almost everything; we won’t be surprised if it decides to run for president at some point. But there are a couple of things you ought to do to ensure it serves you without a hitch. To prevent clogging of the machine, stay away from oily beans. Go for a medium roast, ideally 100% Arabica, to get a cup of coffee you’ll always remember. Always decalcify the machine when it tells you to; don’t ignore it! Descaling the boiler every 3 or so months will prevent mineral deposits from building in the boiler, and stretch the life of your machine. 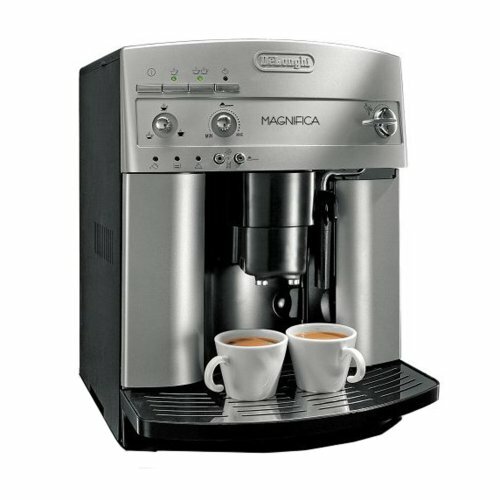 The Magnifica really is a workhorse, giving coffee makers twice its price some pretty stiff competition; watch out Jura! Key to this performance is the dual stainless steel boiler system that is simply impressive. There is no time lag between brewing and steaming, with the boilers providing enough oomph to get the job dome simultaneously. It also scores top marks for its frothing capability. The lattes this machine makes are nothing short of extraordinary. And just so that you don’t get a tear-jerking electricity bill at the end of the month, there is an automatic shut-off feature that kicks in after 3 hours. It would have been neater if this would have been adjustable, but it seems DeLonghi doesn’t really care about your bill that much. All these glowing features might lead you to think that this is the holy grail of espresso makers; the one that will receive the Nobel Prize for tantalizing taste buds the globe over. This isn’t the case. It has a number of quirks such as the inefficient cup warmer and the tendency for the water tank to leak. But the chief nuisance has to be the loud grinder. And we mean loud! Compact size that fits on most counter-tops. Brews a sensational cup of coffee. May leak if not well assembled. Cup warmer hardly has an effect. Spending $5 every single day on a cappuccino is enough to make your accountant want to jump out their office window. 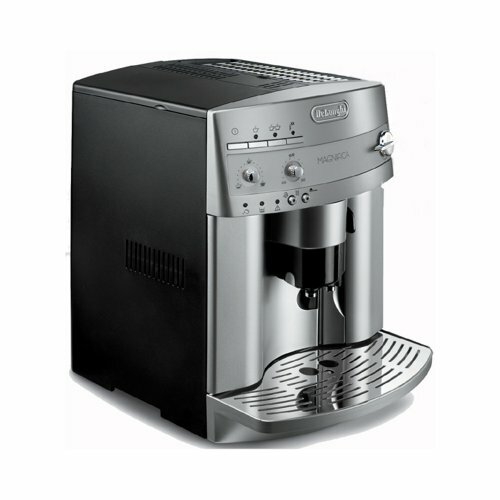 So in the spirit of saving lives, every espresso die-hard should get themselves a good espresso/coffee machine. 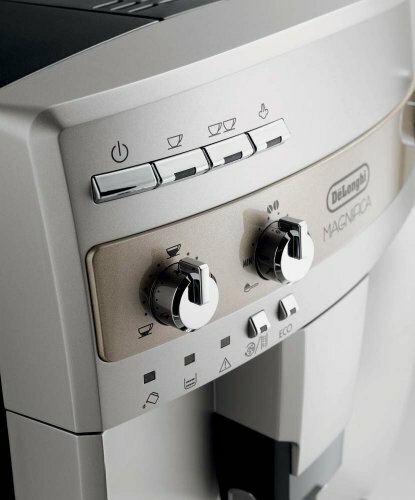 And this one by DeLonghi hits all the right notes. 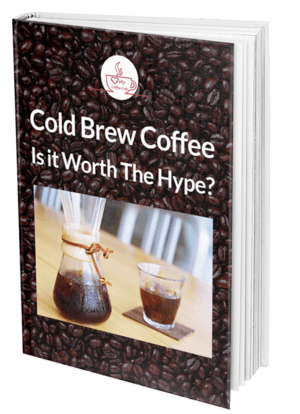 It is way more affordable than the competition, doesn’t take up too much space, and most of all, will lavish you with java so good you’ll want to include it in your biography. As long as the loud grinder doesn’t faze you, this baby will make your mornings.